At West Country Motorhomes we proudly claim to be the ‘UK’s Premier Dealer’, a claim built on over 40 years trading as one of the largest, and most trusted and respected dealers in the motorhome industry. We are agents for the leading UK brands and stock a large range of over 200 new and used UK and European motorhomes to suit all needs at our Sales Centres at Brent Knoll, Somerset, and Swindon, Wiltshire. We also have our own special edition ‘Sunseeker’ range based on the best selling Elddis Autoquest. 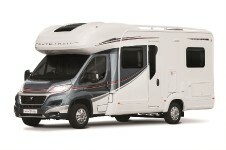 With layouts from 2 to 6 berths they are possibly the best value new motorhomes on the market. 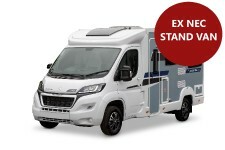 We offer top prices for motorhomes, caravans and cars in part exchange, and for first time buyers we have special starter packs to get you on the road with all you need. We always have a range of offers and ‘special deals’, and if required we offer tailored specialist finance at competitive rates (subject to status). The foundation of our success is the highest level of customer service, and we think ours is second to none. Our many awards over the years confirm this, and we have won the prestigious Practical Motorhome Customer Satisfaction Awards with Best Supplying Dealer for New Motorhomes and the highest ranking Gold Award for Used Motorhomes. You are always assured of a warm welcome and our friendly, professional sales staff will give whatever help you need to choose your motorhome. Come and visit us soon to see why we are ‘The UK’s Premier Dealer’. I want to say thank you to you and the service team for doing such a thorough and helpful job. The communication between West Country Motorhomes and us was excellent. The need to talk about adaptations etc being important and they were very conscious about our specific needs. I am writing to you this morning to record my thanks for the excellent service I received from your service team this week which has enabled me to continue with my holiday plans. We would like to express our thanks for the excellent way that your company has looked after us. The camper we have now is the third one we have bought from you and the service has been above expectations after the very poor service we recieved elsewhere. I recently purchased a Peugeot Starburst motorhome of which i am very pleased with. I have not driven a motorhome before, i went out twice with your sales executive Chris Ellard. He was very patient and understanding. I'd like you to pass on my appreciation to all of the team involved - not just Andy & Kevin D who were the main players, but to your admin & vehicle prep teams. As with previous sales, nothing was too much trouble to organise. 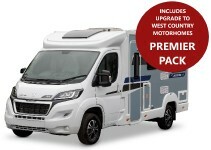 © West Country Motorhomes Ltd 2019, Registered in England and Wales.